Now that the Santa Clause parade has come and gone, you may be wondering what events are going on for the holidays and Christmas time in Toronto. Here’s what’s not to miss in 2015. 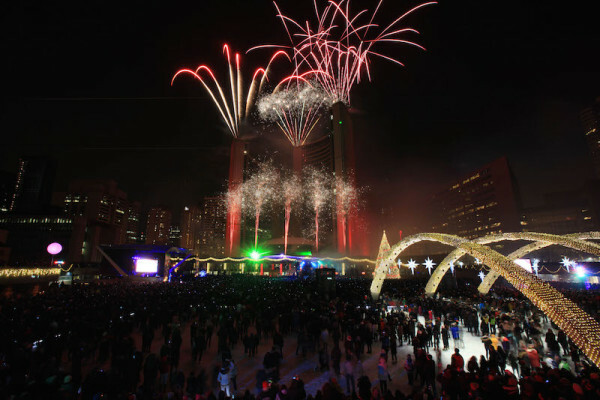 For many people, the Cavalcade of Lights is the do not miss holiday event of the season. 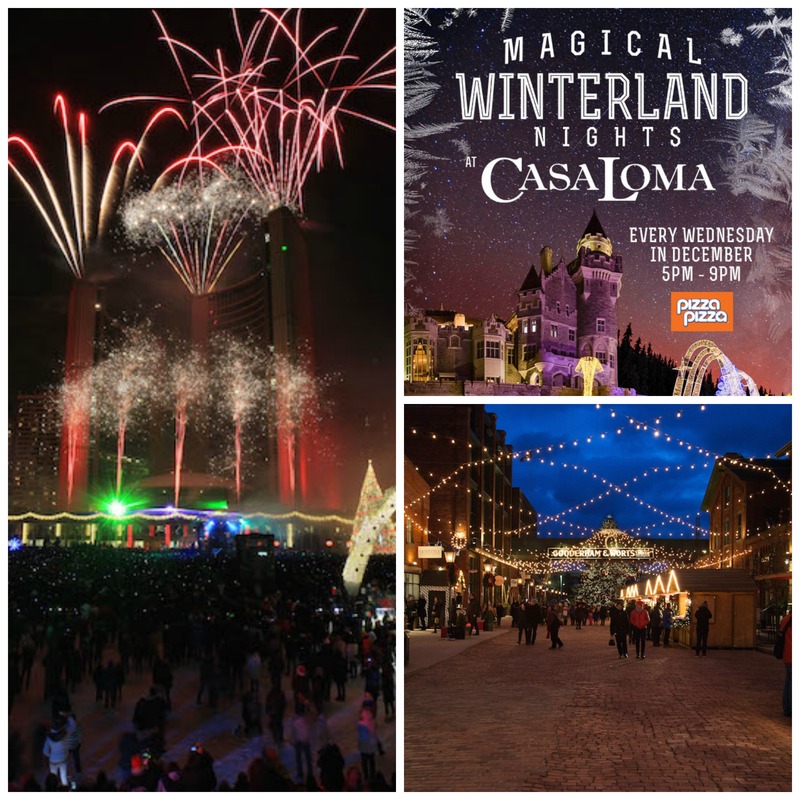 This year’s event kicks off at 6:00 pm with a skating party to the tunes of Disney’s Frozen. The party continues into the night with several musical acts, a sing-a-long, the official Toronto tree lighting at 7:15 pm and of course the famous Cavalcade of Lights fireworks at 8:15 pm. Right after Canadian rock band Sloan hits the stage followed by a skating party with DJ Serious under twinkling lights. For a less busy atmosphere celebrate Christmas time in Toronto as the lights stay lit and skating continues daily at Nathan Philips Square after the celebration. 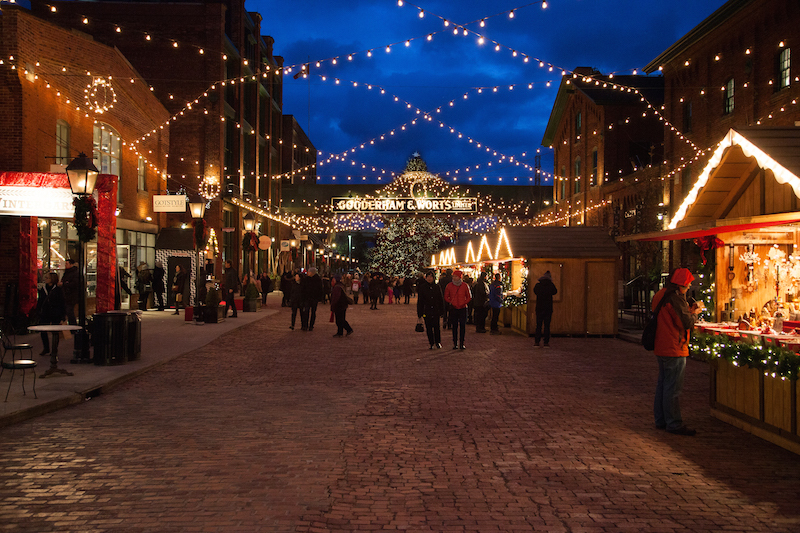 There’s no better way to celebrate Christmas Time in Toronto than with good wine and great food. The Ice, Wine and Dine event does not disappoint. People of all walks of life head out to stroll Toronto’s historic Elm Street under sparkling lights while tasting some of the best food and drinks Toronto has to offer. Guests are entertained by fire performers, musicians and more. 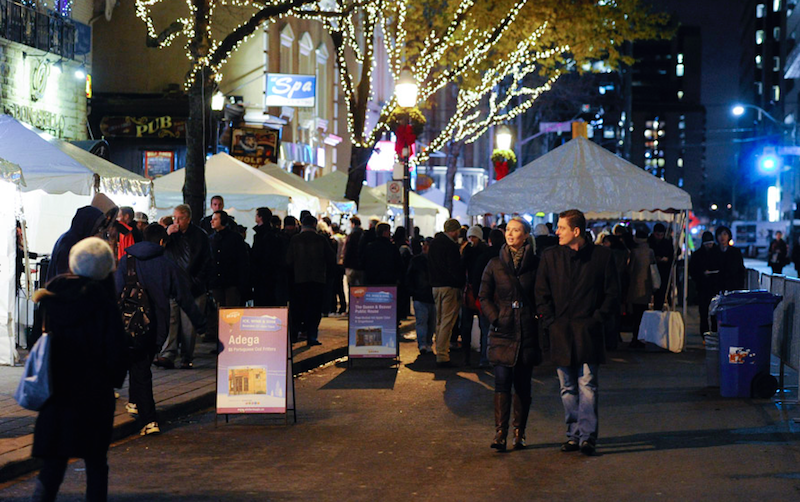 The Toronto Christmas Market is probably the most Christmas thing you can do during Christmas Time in Toronto. 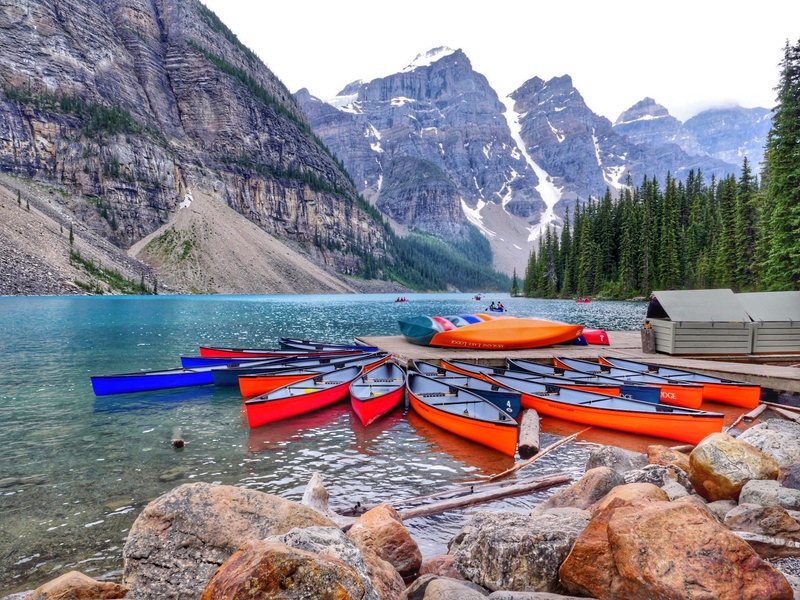 Reminiscent of European markets this is the land of hand crafted gifts, raclette cheese and mulled wine. Due to the popularity of the event, there will be a $5 per person on weekends this year. Try heading out on a Tuesday or Wednesday night for a great night out with far less people in attendance. The gardens of Casa Loma will be lit up for Christmas time in Toronto this year. 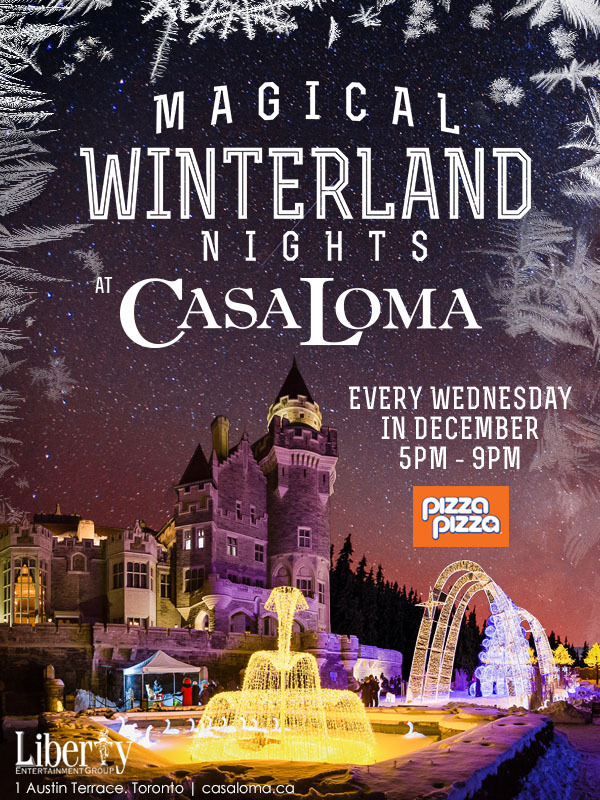 Each Wednesday night in December, the grounds will be a glow and they’ll be plenty to do inside and outside of the castle. Enjoy a holiday themed magic show, a visit with Santa, a scavenger hunt, sign alongs, food, s’mores, a toy room and bouncy castles.